What if the early 007 films had Marvel-style teasers? Thor: The Dark World was the No. 1 movie at the U.S. box office this weekend with an estimated $86.1 million in ticket sales. It also continues the Marvel movie tradition, begun with 2008’s Iron Man, of having a teaser in the end titles for future film adventures. By now, such teasers occur not only in the films made by Walt Disney Co.’s Marvel Studios. They’ve also become part of movies made by other studios, such as X-Men at 20th Century Fox and Spider-Man made at Sony Corp.’s Columbia Pictures. So what would have been like if the early James Bond movies had such teasers? It was a different time back then, of course. Still, it might have gone something like this. BLOFELD, whose face, we can not see, is at his desk, petting his cat. The telephone RINGS and he answers. What’s that? Dr. No is dead? How? Well, that makes me quite displeased. We should take note of this Mr. Bond. M is at his desk, smoking his pipe. His telephone RINGS and he answers. Hello. What’s that? Unauthorized leakages? Involving gold? But why should it involve my deprtment? Oh, I see. I’ll get our best man on it at once. He’s due back quite soon. Blofeld, whose face we still cannot see, is at his desk, petting his cat. The telephone rings and he answers. Yes, Number 2? Ah….splendid. Yes, please proceed. This will be the largest operation SPECTRE has ever undertaken. I am depending on you to make sure it becomes a reality. Originally published Sept. 18, the last of a four-part series. Reprinted today, the actual anniversary. From Russia With Love, the second James Bond film, remains different from any 007 adventure since. It’s the closest the Bond series had to a straight espionage thriller. The “McGuffin” is a decoding machine. That’s important in the world of spying but the stakes would be much larger in future 007 adventures: the fate of the U.S. gold supply, recovering two atomic bombs, preventing nuclear war, etc. From Russia With Love includes memorable set pieces such as the gypsy camp fight between Bulgarians working for the Soviets and the gypsies working for MI6’s Kerim Bey as well as Bond dodging a helicopter. But they’re not the same scope compared with what would be seen in future 007 films. No underwater fights. No giant magnets snatching cars from a highway. No death-dealing satellites. Even when Bond movies such as For Your Eyes Only and The Living Daylights tried to have From Russia With Love-like moments, they still had larger action sequences. From Russia With Love is by no means a small, “indie” film. It’s just different compared with what producers Albert R. Broccoli and Harry Saltzman, and their successors, would offer in future 007 installments. Perhaps that’s why some fans keep coming back to view From Russia With Love again and again. From Russia With Love also introduced stylistic changes to the Bond series, particularly with the beginning of the 007 pre-credits sequence. It also had an actual title song, unlike Dr. No. However, the main titles used an instrumental version (plus an arrangement of the James Bond Theme). The vocal, performed by Matt Monro, is briefly heard during the film and isn’t played in its entirety until the end titles. 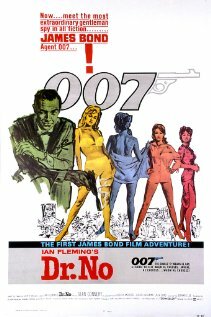 Finally, the movie was the first time Eon Productions revealed the title of the next 007 adventure in the end titles. From Russia With Love also demonstrated that Dr. No wasn’t a fluke. 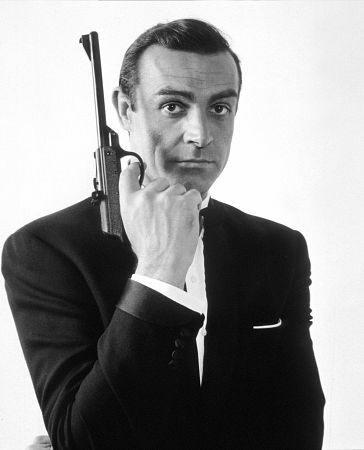 If Sean Connery as Bond had been a diamond in the rough in Dr. No, he was now fully polished in his second turn as Bond. At the box office, From Russia With Love was an even bigger hit with audiences than Dr. No. The 1963 007 outing proved once and for all the judgment of Broccoli and Saltzman — the odd couple forced by circumstances to join forces — that Bond had major commercial potential. The likes of Irving Allen (Broccoli’s former partner who hated Ian Fleming’s novels) and Columbia Pictures (which had the chance to finance Dr. No only to see United Artists do the deal) had egg on their faces. Nearly a half-century later, From Russia With Love is often in the conversation among fans (particularly older ones) as among the best of the Bond films. It also ensured the series would continue — though nobody realized how big things would get. A major investor in Sony Corp., parent company of Sony Pictures, which released the last three 007 movies, has boosted its stake in the company. Third Point LLC, controlled by billionaire Daniel Loeb, now holds 9.4 percent of Sony shares, according to a BLOOMBERG.COM STORY. That’s up from 6.5 percent previously. Third Point wants Sony to sell 20 percent of its entertainment businesses, including Sony Pictures. The unit, through its Columbia Pictures brand, has released Casino Royale, Quantum of Solace and Skyfall from 2006 through 2012. Sony will also release the as-yet-unscheduled Bond 24. Sony Pictures has been under pressure because it’s not as profitable as other studios, according to a MAY STORY IN THE NEW YORK TIMES despite its interest in 007, Amazing Spider-Man and Men in Black movies. Sony Corp.’s board is considering a proposal from a major shareholder to sell as much as 20 percent of its entertainment business, which includes the Sony movie studio, according to various reports, including BLOOMBERG.COM, THE NEW YORK TIMES and THE HOLLYWOOD REPORTER. The Columbia Pictures unit of Sony has released the last three James Bond movies from 2006 through 2012 and is contracted to distribute the next film, Bond 24, whenever it comes out. The New York Times ran a MAY 19 REPORT about Sony Studios that said it wasn’t as profitable as other studios. The story cited Skyfall as an example. The Wilson-Broccoli family (referred to as the “James Bond rights holders”) got its cut and then Metro-Goldwyn-Mayer and Sony split the remainder 75-25, according to the story. To view a Bloomberg Television video about Sony, CLICK HERE. UPDATE (May 21): The Nikkei news service in Japan has reported that Sony Corp. is considering a spinoff of its entertainment business. Nikkei has an English Web site but to access THE STORY you have to be a subscriber. If you CLICK HERE, you can view a Los Angeles Times story that summarizes the Nikkei piece. According to a BLOOMBERG.COM STORY, Sony shares climbed to their highest levels in more than two years after the Nikkei report. ORIGINAL POST: The New York Times, IN THE LEAD STORY IN ITS MAY 19 BUSINESS SECTION has a detailed story about challenging times at Sony Pictures, the entertainment arm of Sony Corp.
SONY’S $4.4 billion in ticket sales last year was impressive, but shareholders care about profit margins. Thus, in the case of Skyfall, which Sony distributed, the studio was third in line after the Broccoli-Wilson family and Metro-Goldwyn-Mayer. Another challenge is investor Daniel Loeb, whose Third Point LLC, acquired a 6.5 percent stake and wants Sony Corp. to sell of 20 percent of its entertainment business and focus on its consumer electronics unit. Loeb, according to the Times, “specifically complained” about profitability of the entertainment unit. Sony said the entertainment business wasn’t up for sale. Sony’s Columbia Pictures has distributed the last three 007 films (Casino Royale, Quantum of Solace and Skyfall) and is contracted to do so again for Bond 24 whenever it’s made. For the complete NYT story, CLICK HERE. For more, you can CLICK HERE for a May 16 Bloomberg.com story headlined “Sony’s $100 Billion Lost Decade Supports Loeb Brakeup.” You can also CLICK HERE for a May 14 story by the Deadline entertainment news Web site. Skyfall, the 23rd James Bond movie, can’t have come soon enough for Sony Corp. and its Sony Pictures unit. Sony reported a lot of bad numbers this week. The parent company reported its seventh straight quarterly loss (details can be found BY CLICKING HERE to view a Bloomberg News story). It had been expeced by analysts to post a profit. Sony Corp. is now worth less than 10 percent of what it was in 2000. Sony Pictures had an operating profit, but it was down almost 62 percent, according to the Deadline Web site from a year earlier. The Amazing Spider-Man released in July was a big help, the Total Recall remake released in August was not. Sony Corp. said the movie business is not for sale, according to Deadline. Sony Pictures will release two fewer movies a year starting in 2014, according to the Los Angeles Times. All of which brings us to Skyfall, which Sony is releasing and co-financed with Metro-Goldwyn Mayer. The Bond movie set a seven-day ticket sales record in the U.K., according to Deadline and has sold about $100 million in tickets in various markets since its Oct. 26 debut. Skyfall reaches U.S. shores Nov. 8 at Imax theaters and goes into general release the next day. Skyfall by itself won’t cure the ills of Sony and Sony Pictures. It’s just one movie and the studio unit has to share Skyfall’s take with MGM and theater chains. But assuming the positive box office buzz continues, Sony won’t mind at all reporting Skyfall numbers. Sony Pictures also will co-finance Bond 24 and Bond 25.